The Creationist Worldview is an innovative program of study designed to equip current and future Christian leaders with practical tools to effectively influence their world with the truths of Scripture. 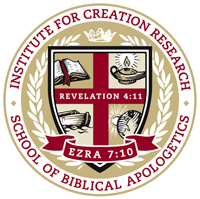 A formal science degree is not required, and those who can benefit from the Creationist Worldview program include but are not limited to: Christian men and women who hold various positions of influence within the community (such as parents), teachers of all kinds, ministers and other church ministry leaders, business and industry leaders, professionals in law and medicine, government officials, leaders in the fine arts, and high school and college students. Designed for people on the go, the self-paced Creationist Worldview can fit into busy schedules. This certificate program was designed to be completed within 12 months. Renewing Minds. Learn foundational truths and evidences that clearly show the authority, authenticity, and accuracy of the Scriptures, particularly in light of religious, scientific, and societal norms ignoring or otherwise conflicting with biblical Christianity. Defending Truth. Be equipped with sound scientific data relevant to origin issues in the physical and biological sciences, able to illustrate how creation corroborates the Bible (and its authoritative teachings about origins) in order to offer superior arguments to detractors of a biblical worldview. Witnessing to the Watching World. Be enabled to provide a reliable witness of God’s truth to the watching world, role-modeling the kind of analytical thinking that becomes Christian leaders, living as God-appointed stewards over His creation as you influence various levels of society by living out a consistently biblical set of beliefs and moral values. For a complete description of the Creationist Worldview Certificate Program, see our program catalog.